Today’s post was an unplanned lunchtime visit but one that made me very happy to have found this restaurant! 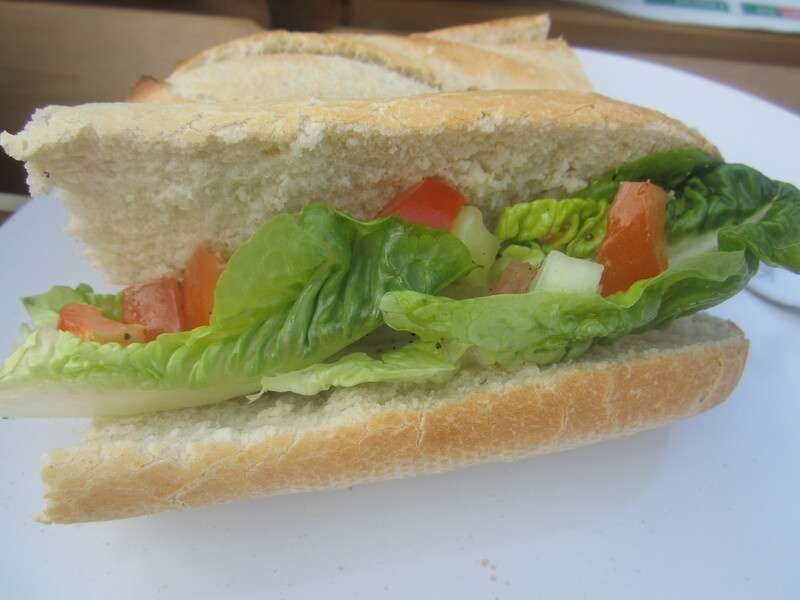 A few weeks ago, Ian and I were having a wander around Bradford on Avon’s summer fair and felt a bit peckish. There weren’t that many food stalls so we were on our way to buy some picnic ingredients when we stumbled across this place. 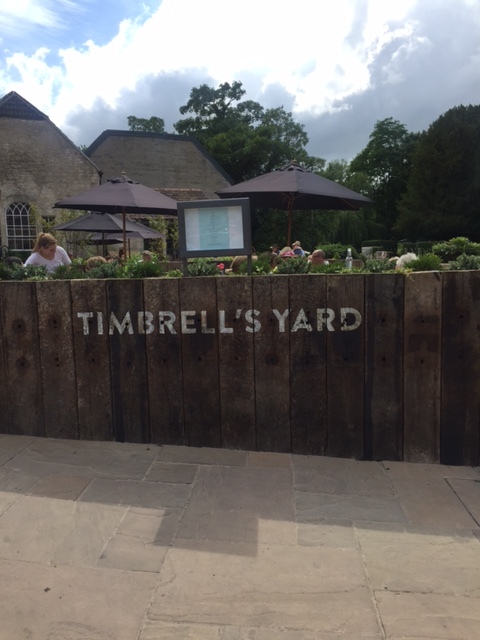 Timbrell’s Yard is tucked away from the main high street, right next to the river, and is housed in a beautiful Grade 2 listed building. 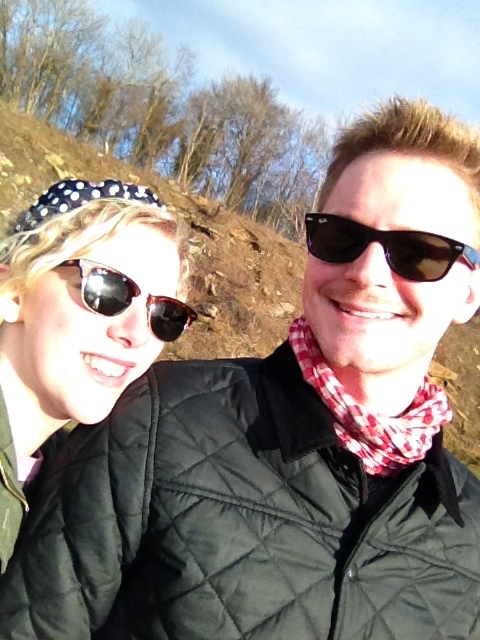 As it was a lovely sunny day, we opted to sit outside as we looked through the menu. 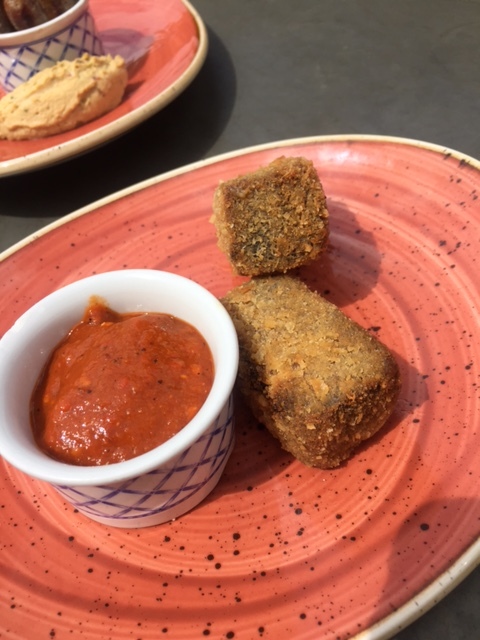 We decided to get some little bites to share from the bar menu and I think this was a great way to get a feel for how good the food is at this place. 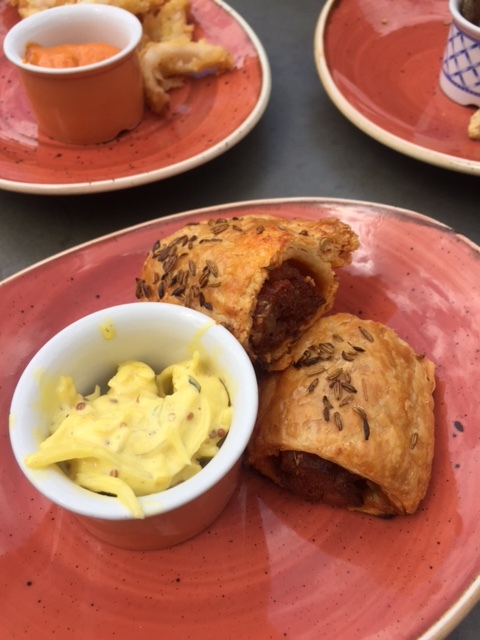 We had chorizo sausage rolls, served with fennel seeds and a great crunchy apple slaw, salami chipolatas with a spicy hummus, popcorn cuttlefish with paprika mayonnaise (a lovely twist on calamari and aioli) and cauliflower and smoked cheese croquettes with a truffle aioli. 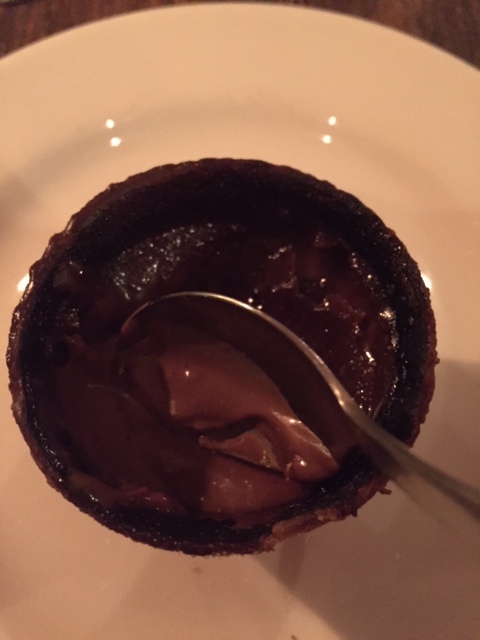 I loved the way everything was served with an individual dip or accompaniment which really completed the food. My favourite dish however was the BBQ beef brisket served with a very spicy hot sauce. 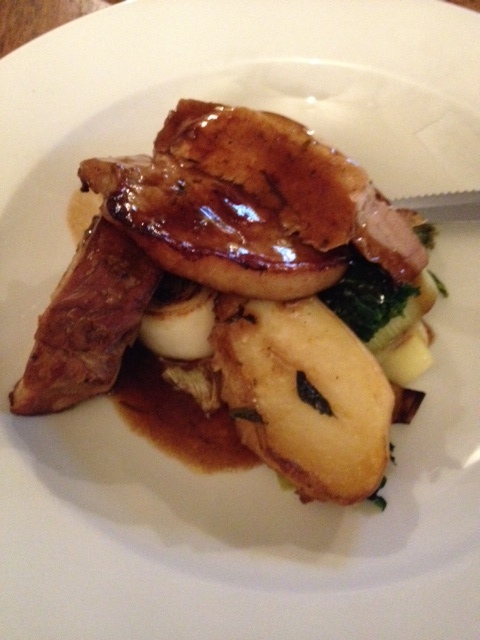 The meat was so tender and well-cooked and absolutely delicious – I was very tempted to order a second portion! I popped inside to have a look at the dining area and it is such a gorgeous space. The menu is seasonal and local and we are definitely looking forward to coming back soon. 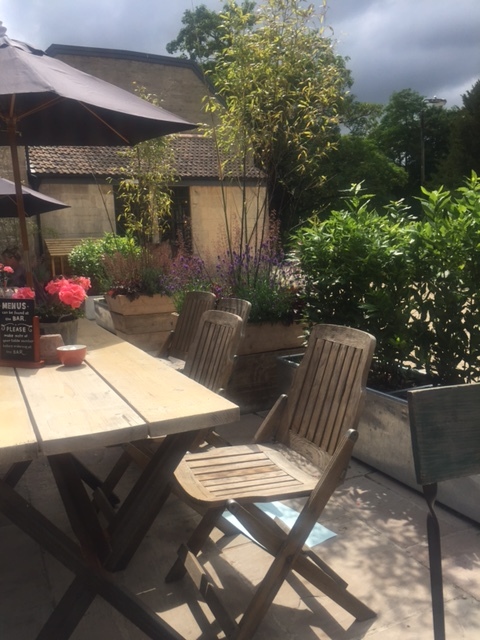 Posted in Uncategorized and tagged beef, bradford on avon, foodie, lunch, restaurantreview, review, summer, tapas, timbrells yard. Bookmark the permalink. We ate at the Milking Parlour back in October and it has recently been renamed as The Moonraker. We loved the tasting menu we ate there last time so were looking forward to revisiting this place which has recently gone through a rebrand. I’m not sure what I was expecting but it was lovely to see that there was very little change in the welcoming dining room and bar and they hadn’t try to fix what wasn’t broken! I was also glad to see there was still a strong emphasis on using lots of local ingredients and produce grown within the grounds. We ordered my favourite red (a Chilean merlot) and waited for our first course. As we were sampling the taster menu, we didn’t get an actual menu to peruse which I didn’t mind because a) we aren’t fussy and will eat pretty much anything and b) it kept an element of surprise to the evening! 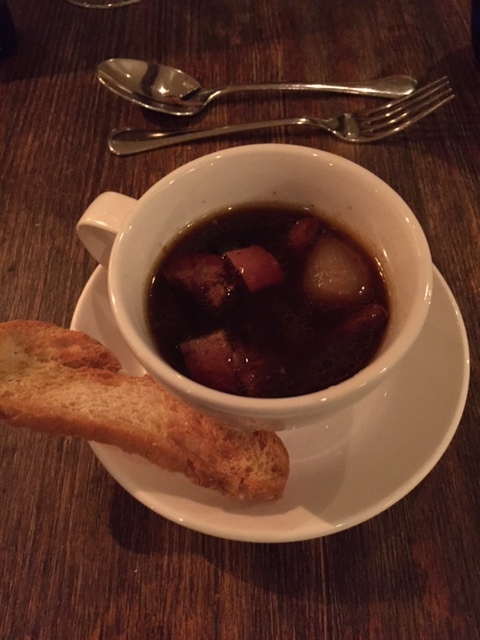 Our first course was soup served with toasted bread in a cup and saucer. The soup itself was a rich beef broth with beef tongue, winter vegetables and girolle mushrooms. I know some people may balk at the idea of tongue but it was delicious and full of flavour. A slight moan about these next two courses as they were exactly the same as the ones we ate on our last visit. I would hope that a taster menu would change at least monthly so whilst they were both absolutely delicious (the beetroot salad was my favourite course!) it was a tad disappointing not to try something new. 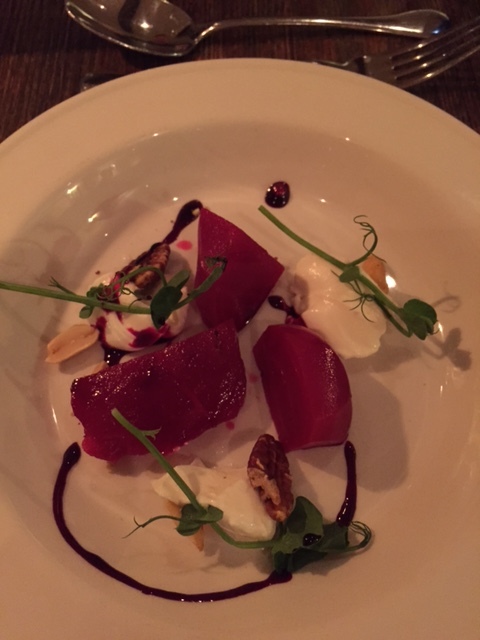 Anyway, next up we had an incredible salad of lightly pickled beetroot, whipped goats cheese and micro greens served with peanuts, walnuts and a glaze. 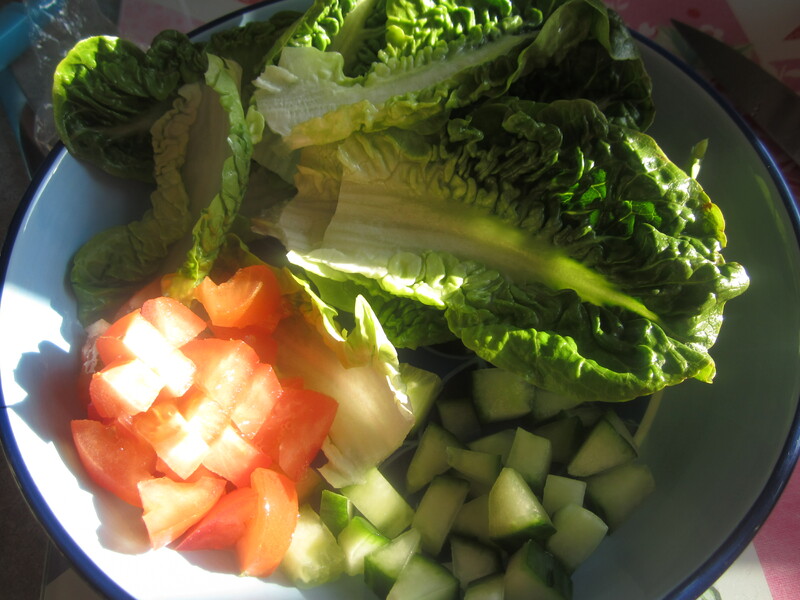 The crunch of the nuts really added to this salad and I could have eaten two or three plates of this! 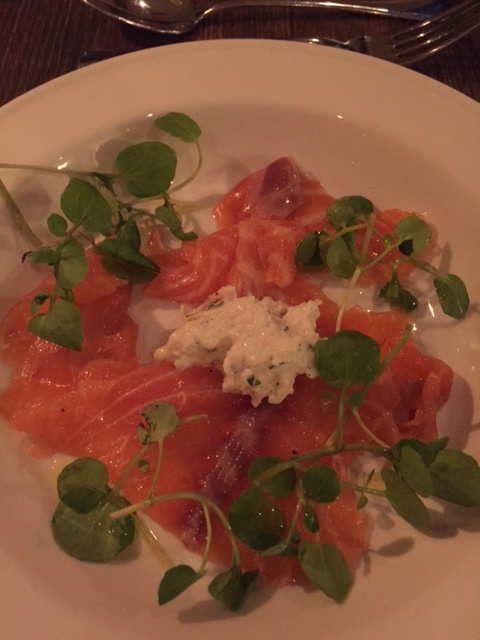 We had hay-smoked salmon after that served with an apple and celeriac remoulade and leaves. We both love smoked salmon and this went down well with the rich fish complimenting the creamy remoulade. For our main course, we had another interesting meat choice in the form of venison. This was made into a chilli and served with gnocchi. 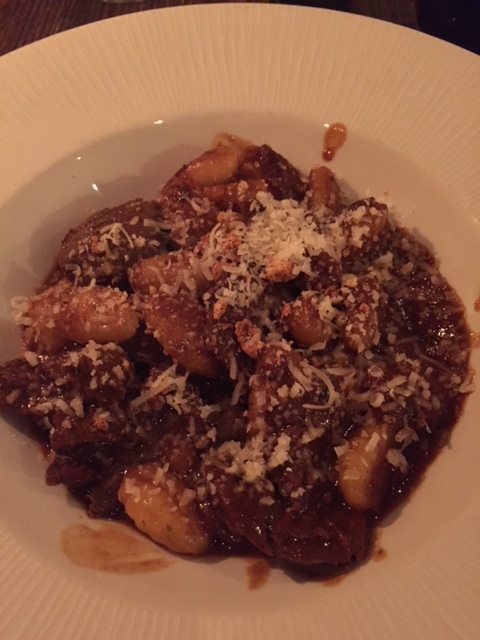 I’m a bit love/hate with gnocchi – I don’t mind it as an accompaniment but find a whole bowl of it a bit chewy and dense. Luckily, there was a good amount of venison served with the pasta. The chilli was quite spicy for me but full of flavour. 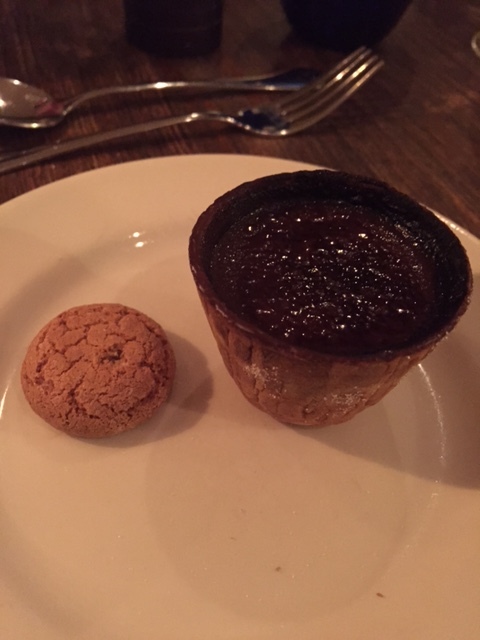 Finally, for pudding we had a wafer-thin crisp filled with caramel and topped with a chocolate crème brulee. This was incredible, rich but incredible! I’m not too sure what the little amaretto biscuit on the side added to the dish but I loved it. Up to this point, I couldn’t fault the service but as per our first visit, we found that we struggled to get a waiter’s attention to pay. I was too tired to wait around so marched up and paid at the bar instead – my only real complaint, especially as this was the second time it had happened. We found another deal on Amazon for this meal which I would recommend as it means you get a real bargain for some excellent quality food. Posted in Uncategorized and tagged beef, bradford on avon, chocolate, foodie, moonraker, restaurantreview, salad, salmon, soup, venison. Bookmark the permalink. Despite having 11 piercings and a little tattoo, I found out today that my fear of needles is alive and well. I had some travel vaccinations so am now nursing two very sore and aching arms…the things we do for a holiday! This week, Ian and I fancied trying out a local country pub so drove over to Holt, a village about 5 minutes away from us. 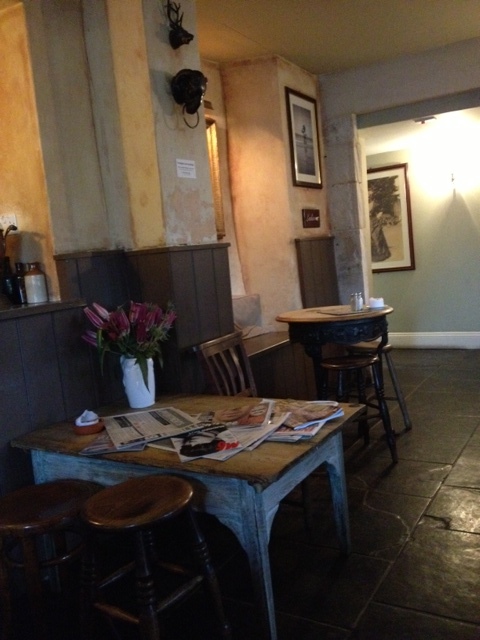 A pretty 16th century building, this pub is very picturesque and has a cosy, welcoming atmosphere when you step inside. 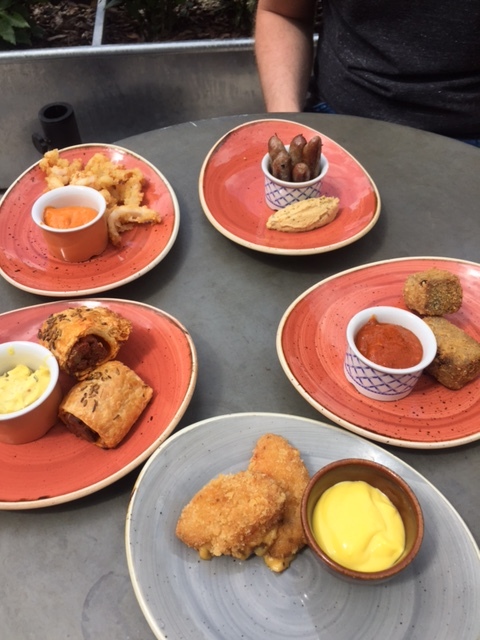 There was a good selection of food from the traditional to their seasonal specials and we found it hard to narrow it down to what we fancied. I have to admit now that I made a bit of a rookie mistake and filled up on my starter meaning I struggled a bit with my main course but the key thing for me was that it all tasted good! We shared a ‘Picnic Platter’ to start which included a few of my favourite things to have for lunch when the sun is shining. 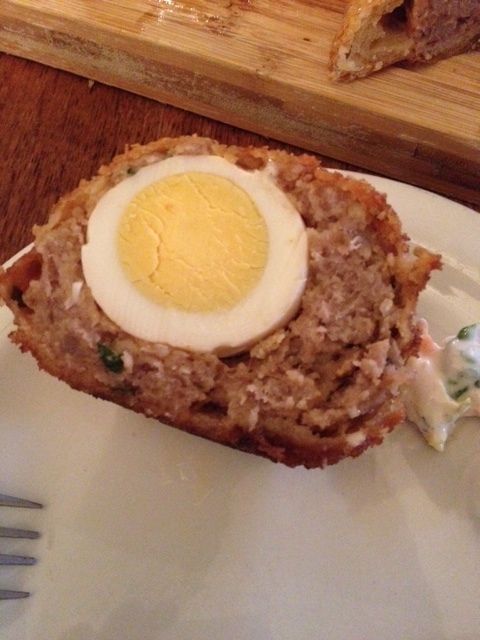 There was a cooked scotch egg in crispy breadcrumbs, a slice of roasted vegetable and goats cheese quiche, homemade coleslaw, sausage roll, homemade tomato chutney, fresh bread and two large slabs of ham hock…you can see why we were full afterwards! For our mains, I opted for pork and Ian had the beef. My pork was a duo of Woolley Farm pork (from the farm over the road!) and included a honeyed pork loin steak and slow roasted rib. It was served with sautéed leeks, fondant potatoes and a mustard sauce. The roasted rib was the winner for me – it was so juicy and tender and my only niggle would be that there wasn’t quite enough of the lovely gravy. 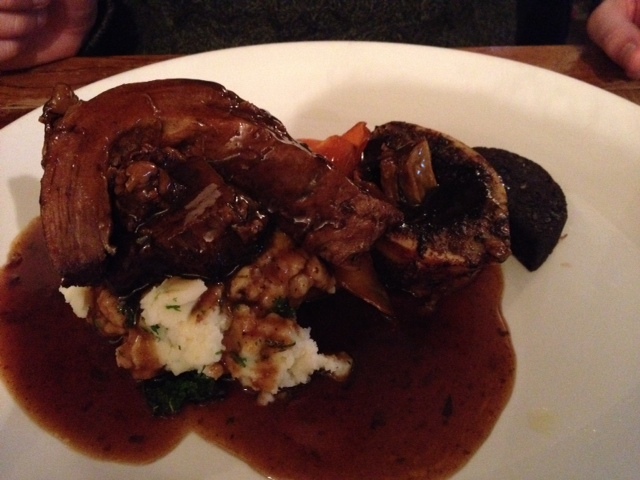 Ian had their beef special which included a tender haunch of beef and bone marrow served with black pudding, mashed potato and kale. The bone marrow was absolutely delicious – so rich and beefy and complemented the dark gravy. I had to admit defeat when it came to a pudding here but as I was leaving, I did notice a poster up for an upcoming Pudding Night where they will be serving no less than 6 puddings…suffice to say I will be signing up! 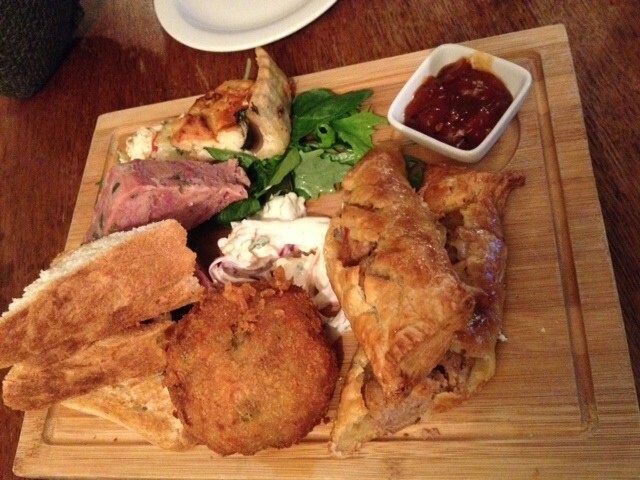 We seem to be spoilt for choice for local pubs and this is definitely one to add to our list for good, local and seasonal food. 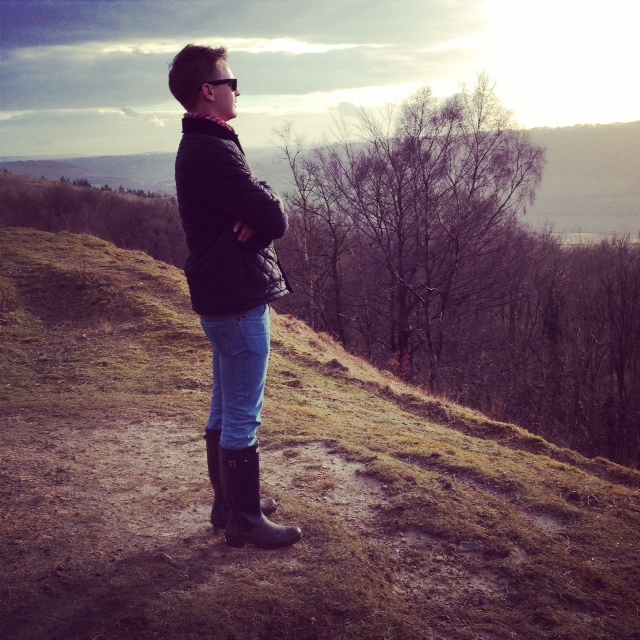 Posted in Uncategorized and tagged aboutme, bath, beef, bone marrow, country life, country living, dinner, foodie, pork, restaurantreview, rib, starter, treatyourself. Bookmark the permalink. 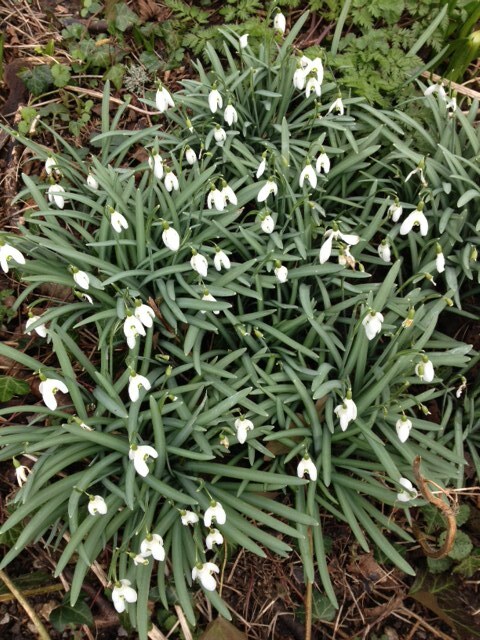 Well, March seemed to fool us all into thinking it was going to herald the start of spring but the rain has returned today! 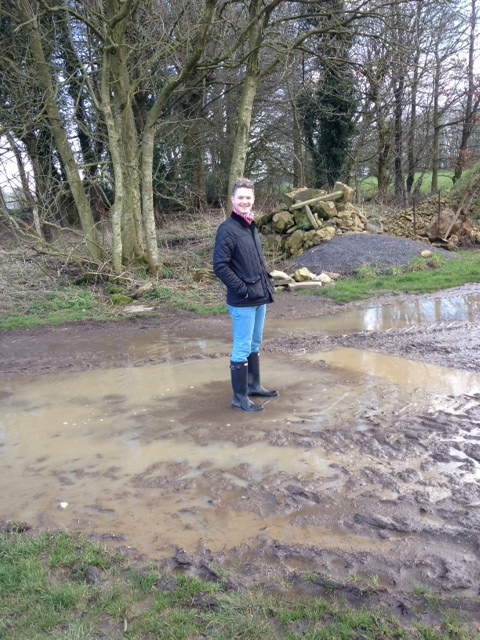 We decided to make the most of the burst of sunshine we had yesterday by pulling on our wellies and going for a walk. 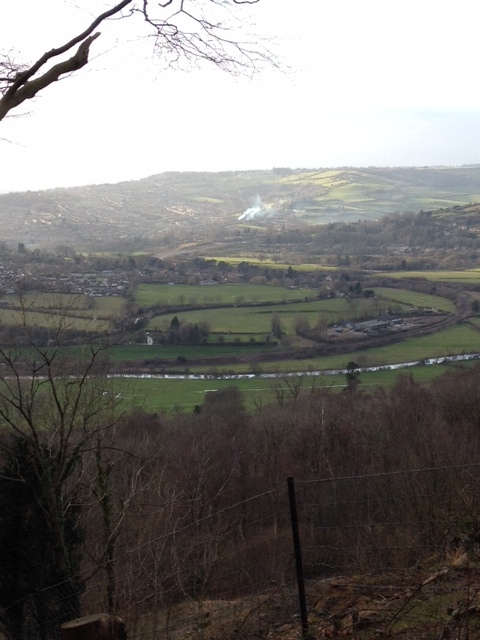 It was still incredibly wet and muddy but we had fun splashing in puddles and the views over Bath were definitely worth it. 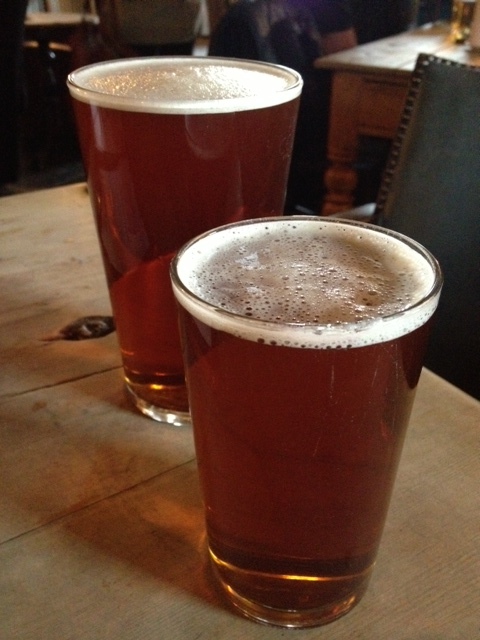 The eagle-eyed readers will notice this is my second review for this local pub but it’s somewhere Ian and I find ourselves going back to, both for food and just for drinks, so I thought it deserved a second mention. A few weeks ago, we were heading out for dinner and seeing as it was pouring with rain, we wanted to eat somewhere with its own car park so we didn’t have far to walk. However, when we drove through Bradford-on-Avon, we spotted a space right outside the pub so felt it was meant to be! As always, I was going back and forth over what to order as it all sounded so good. I finally decided on a main course and sent Ian up to the bar to order with instructions to ‘surprise me’ with a starter! He did well and we shared two starters of deep fried Thai crab balls which had a lovely crunch to them before you bit into the meaty, spicy centre. 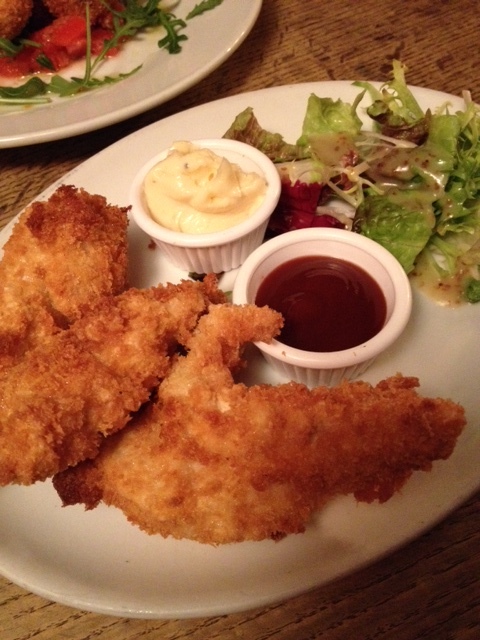 We also got some breaded chicken goujons to share which were nicely seasoned and came with an aioli and a BBQ dip and salad. For our mains, we both went for something hearty. 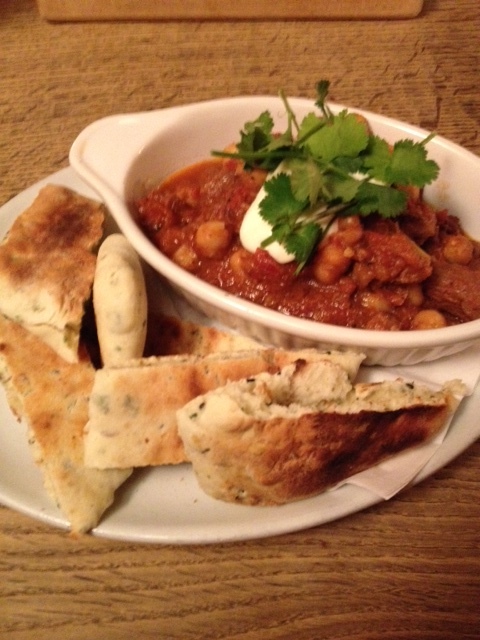 I had the most wonderful fruity Moroccan lamb tagine served with warm, homemade flatbread and topped with a dollop of yogurt. This was warming and had a generous amount of lamb in it – I think I’ll have a go at recreating this at home. 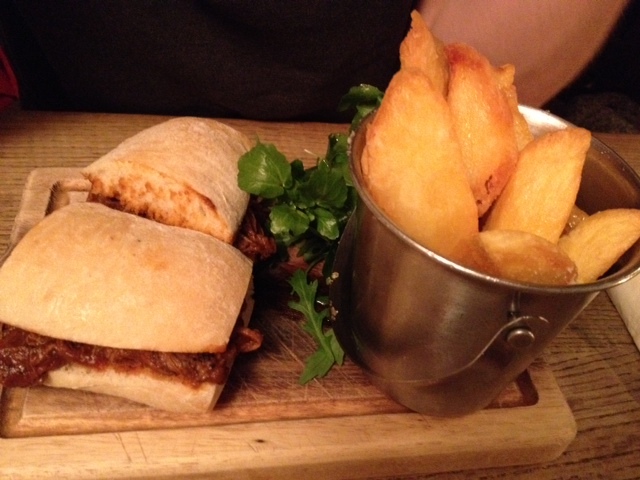 Ian had one of the specials – beef brisket served with a ‘Bloody Mary’ sauce in a sourdough roll and triple cooked chips. This was a lovely twist on a steak sandwich and their chips are unbelievable too! 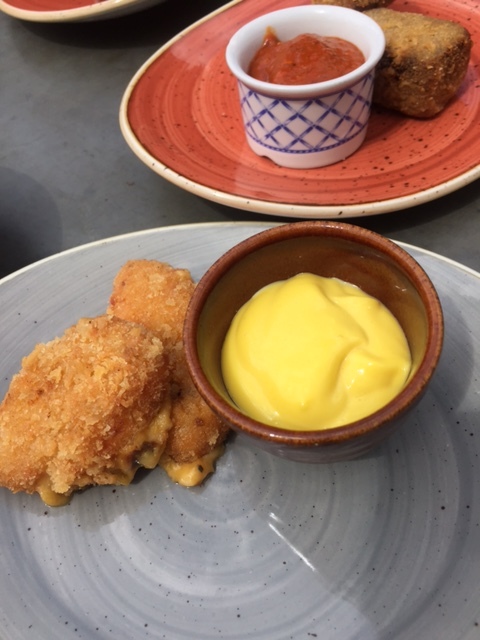 Posted in Uncategorized and tagged aboutme, bath, beef, bradford on avon, brisket, chicken, country life, country living, crab, dandy lion, dandy lion pub, dinner, foodie, lamb, main, restaurantreview, spring, starter, treatyourself. Bookmark the permalink. Well, it’s the first proper day of my Easter holidays and despite my plans for a relaxing morning, my body clock was wide awake at 6am so I was up nice and early today! It is snowing outside as I type this, although not settling. Ian and I have booked a romantic break over the Easter weekend to visit Harrogate and York and I am hoping the weather doesn’t get in the way of our plans! Today, I wanted to share one of our local pubs which is fast becoming a favourite of ours, having been there two weekends running. The Castle Inn sits at the top of the hill overlooking the gorgeous Cotswold town of Bradford-on-Avon. Although a bit tricky for parking, this Georgian building is lovely and there is a small beer garden for warmer months. Inside, it is classic country-chic with slate flooring, exposed beams, big open fireplaces and comfortable mis-matched leather chairs. We went for Sunday lunch yesterday, having heard good things about their Sunday Roasts. Now, I don’t really like going out for a Sunday dinner simply because I am so fussy about certain components and I think Ian and I make a pretty delicious one between us! However, neither of us really fancied going shopping, chopping and prepping then washing up all afternoon so we gave lunch a try here…and I am so glad we did! After a his ‘n’ hers ale to start and a read of the Sunday papers, we ordered one Roast Sirloin of West Country Beef and one Roasted Royal Windsor Pork Belly. My pork was delicious and, having skipped breakfast, I was pleased to see the portions were very generous! I had 4 good slices of moist roast pork, a big Yorkshire pudding (I always serve these with my roast dinners and never just confine them to beef! 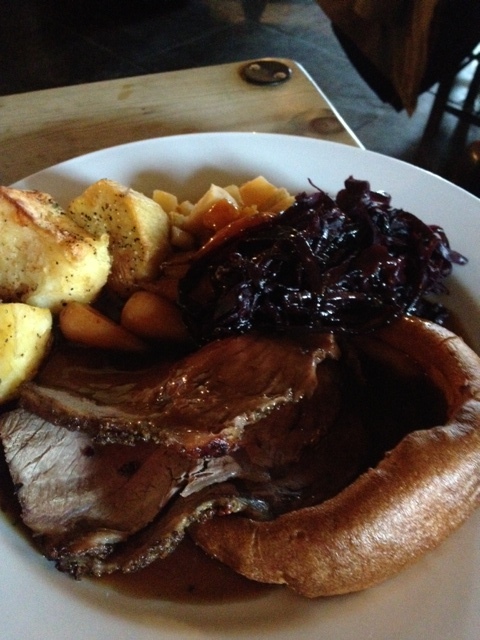 ), roasted root vegetables, some chunky roast potatoes and the most amazing pickled red cabbage. The pork was slightly fatty in places but there was enough pork to not really mind. I have to say I wasn’t too keen on the roast potatoes – I like mine much crispier – but, for me, the star of the show was the red cabbage. 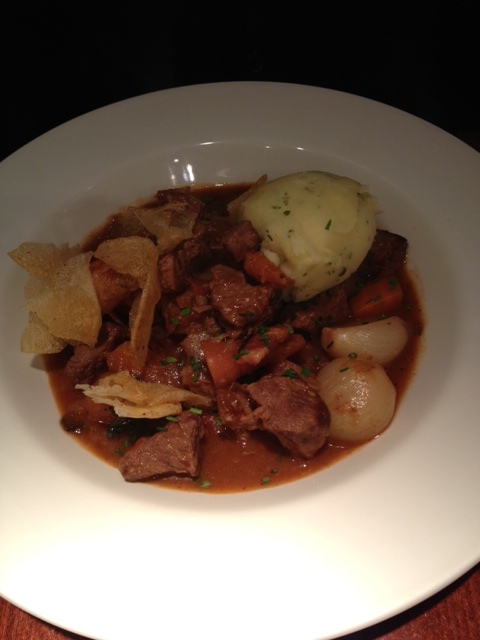 Ian had the beef, which was another generous amount of meat, served rare and it was deliciously tender. Suffice to say we were both stuffed after this lunch and neither of us could manage pudding, which was a shame as I noticed the most delicious looking warm chocolate brownies on the table next to us! 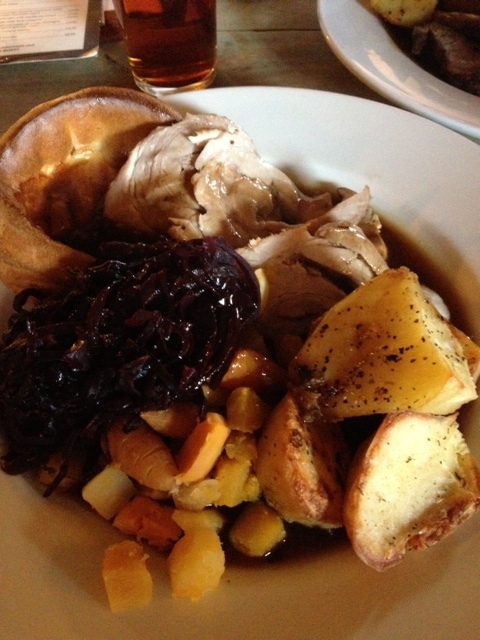 The Castle Inn offers four different Roast Dinners every Sunday, costing between £9-12. 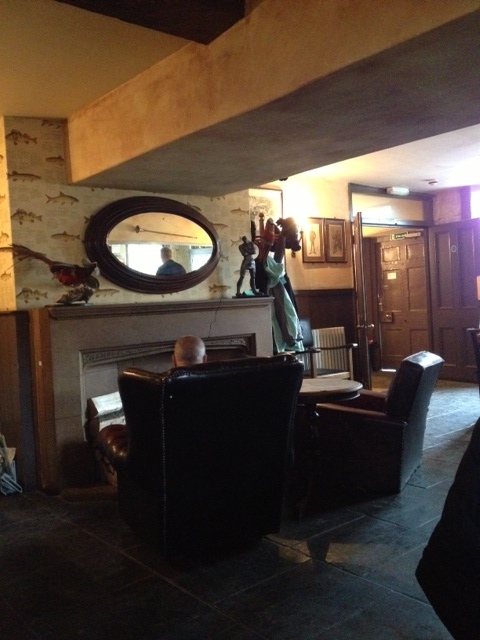 The atmosphere here is lovely and relaxed and the food was excellent. They offer small grazing plates too and Ian and I have already decided to go back soon and sample these sharing bites. 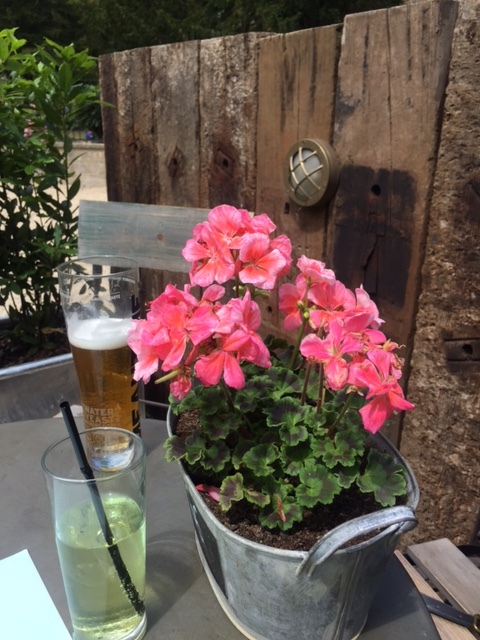 Posted in Uncategorized and tagged aboutme, beef, bradford on avon, castle inn, castle inn bradford on avon, country life, country living, dinner, foodie, holiday, pork, pub, restaurantreview, review, roast, roast dinner, treatyourself. Bookmark the permalink. Last night, Ian and I had a mid-week night out…reckless I know! I had been really looking forward to this because we were going for dinner and then to see my favourite ever musical, Blood Brothers, at the Bath Theatre Royal. I first saw this show in London about 4 years ago when I had a weekend away with my Mum for her birthday and I remember loving the music and the storyline, and keeping my eye out for it playing at a local theatre ever since. Set in Liverpool, a city close to my heart, the cultural references to the places, shops and people are great and they have managed to capture that elusive northern humour perfectly. Although, I have to say that Marti Pellow’s scouse accent was questionable! Due to a particularly attentive waitress continuously topping up my glass of wine during dinner, I was a bit tipsy when we arrived at the theatre (so cultured, ha!) which may explain why I had a good cry during the performance! This show is on until Saturday February 2nd in Bath. I know tickets sold fast, but if you see this musical is showing at a theatre near you then I cannot recommend it enough! 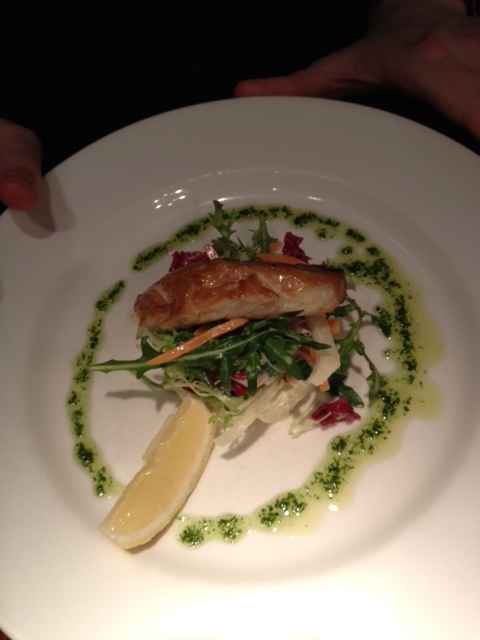 We ate at an old favourite of mine in Bath, the French bistro Raphael Restaurant. I have eaten here a few times in the past and have always enjoyed the ambience and food, and last night was no exception. 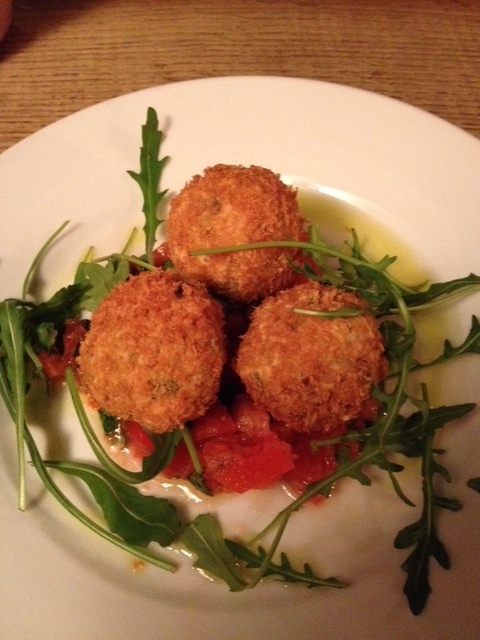 Being a stone’s throw from the theatre, they do a roaring trade in their 2-course pre-theatre dinner, priced at £14.95. With 4 choices for both the starter and main course, there is a good selection of meat, fish and vegetarian options. I have to say that the menu is very classic, which is absolutely fine when they do it so well, but there were no real stand-out options for me so I just ordered what I knew I would like and played it safe with a savoury tart then chicken. I just reread that and I think I sound completely pedantic and fussy but I do like trying new flavour combinations which this menu didn’t offer. 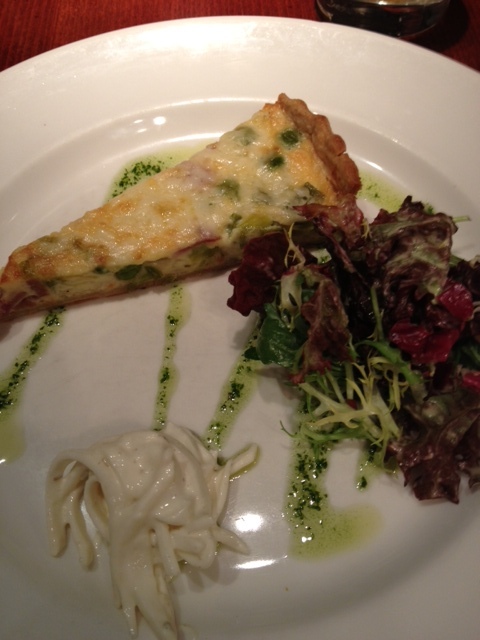 For my starter, I had a Leek, Pea and Ham Tart with a well-dressed mixed leaf salad and a delicious celeriac remoulade, which was like a lovely, refined coleslaw to accompany the warm tart. 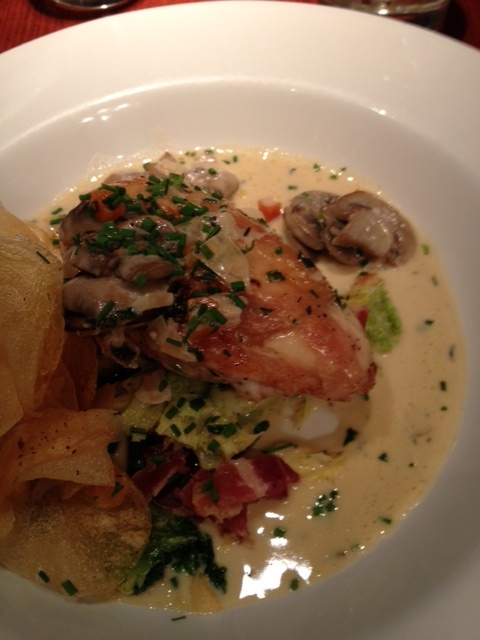 For our main courses, I had a pan-roasted thyme and garlic chicken breast which was served on a bed of green beans, savoy cabbage and bacon and a delicious creamy mushroom and tarragon sauce. All elements of the dish were perfectly cooked and seasoned and the sauce brought it all together nicely. Ian had a proper winter-warmer of Madeira and porcini mushrooms with braised beef and shallots, served with parsley mash and a lovely orange-scented sauce. I have had beef and orange together in Asian dishes but I wasn’t sure how well this citrus fruit would go in a rich, French-style stew. It turns out, very well! The orange running through the sauce lifted the whole dish and is something I would think about trying out in my own cooking next time I make a beef stew. Overall, we enjoyed two lovely clean, fresh courses which were full of flavour and well-balanced. 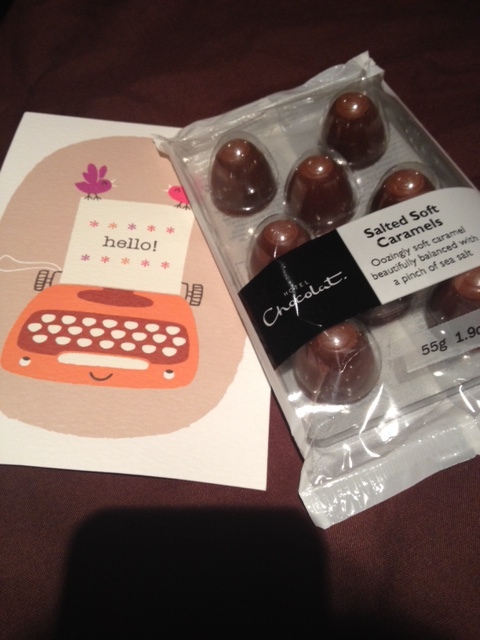 The portion sizes were perfect for me too as it meant I had just enough room for an ice-cream during the interval! Posted in Uncategorized and tagged aboutme, bath, beef, blood brothers bath, blood brothers bath review, chicken, dinner, fish, foodie, liverpool, pudding, quiche, raphaels restaurant bath, restaurantreview, review, roast, seafood, starter, tart, theatre, theatre review, treatyourself, vegetarian, winter. Bookmark the permalink. We had plans to go out for dinner and catch a film at the cinema last night but felt it was too lovely an evening to spend indoors. Instead, we both headed home then straight out into the garden. 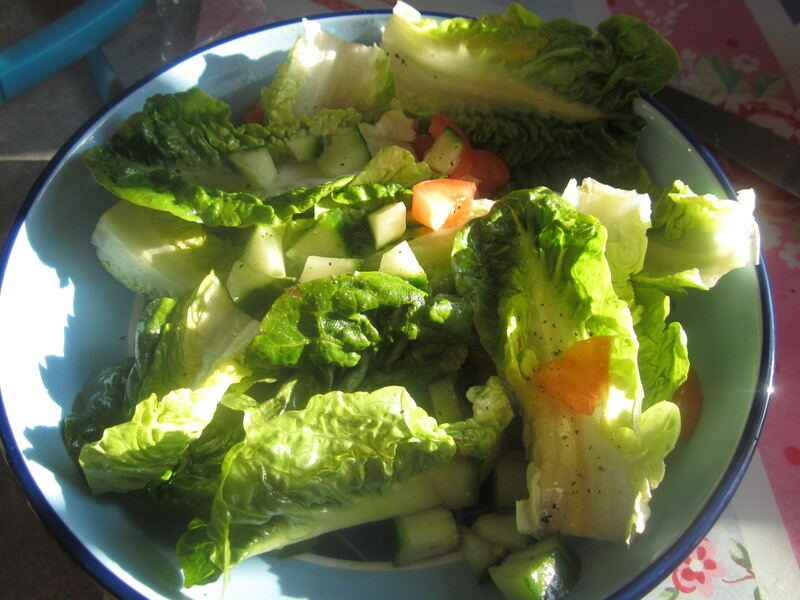 I stopped off on the way home to grab some ingredients for a barbecue but my plans for homemade lamb, feta and cumin burgers with a Greek salad were put on hold when I saw the supermarket shelves…no burgers, lamb mince, salad or burger buns!!! Now I know we are often mocked for how quickly we get our flip flops and Pimms out at the first sign of sun, but I would argue we are simply making the most of the little sunshine we have at this time of year. So with this attitude, I didn’t let the supermarket shortages put me off but instead made a few menu tweaks and put my foot down to get home while it was still glorious! 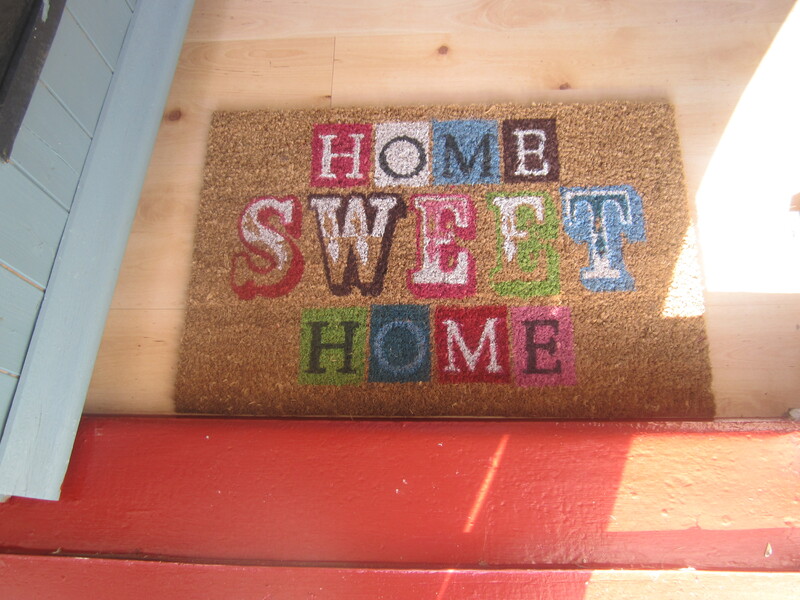 In my haste to pay and be on my way, I was sucked into a last minute purchase at the tills, although I’m not regretting it the way I usually do with split-decision buys and I think it looks rather lovely in the doorway to welcome people inside! 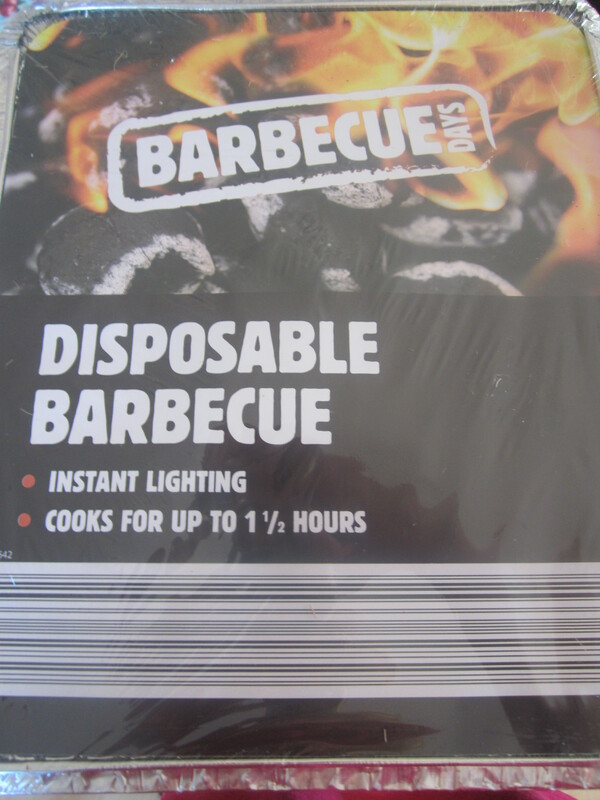 We haven’t got around to buying a proper barbecue yet so we made do with a nifty little disposable version…not perfect but it got the job done! 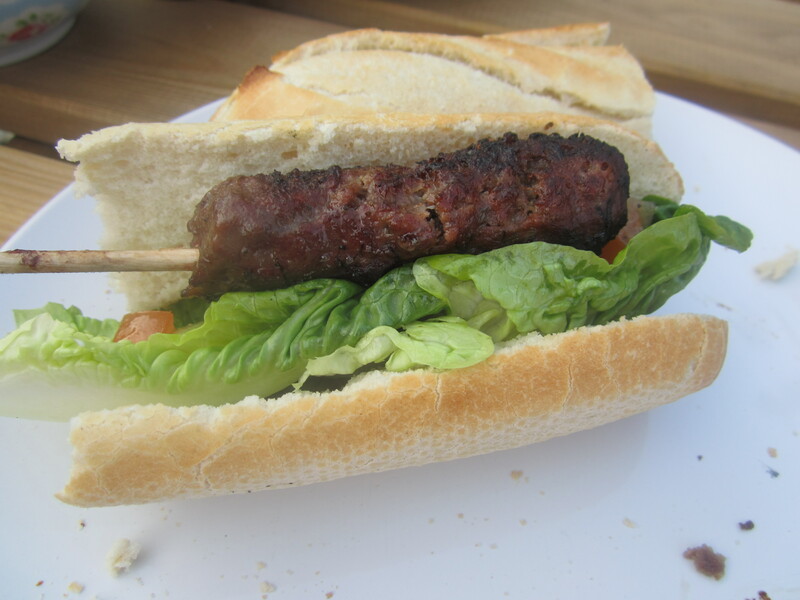 We bought some beef koftas from the butchers and served them with crusty bread, tzatziki (my recipe for this is below) and a simple salad of gem lettuce, tomato and cucumber dressed with salt, pepper, olive oil and lemon juice. I have a cupboard full of different herbs, spices, oils and dressings but sometimes it is nice to just keep things simple and fresh. 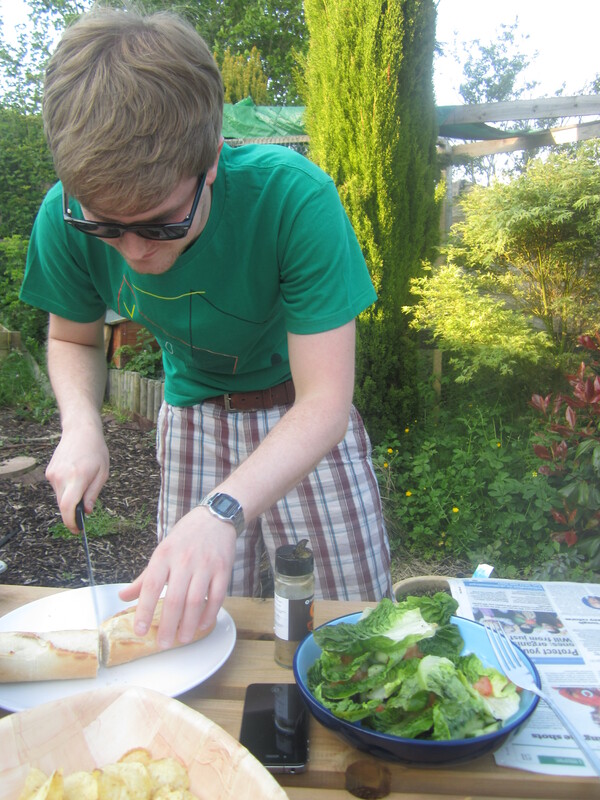 There is something quite special about the first BBQ of the summer; a taster of what is to come over the next few months. 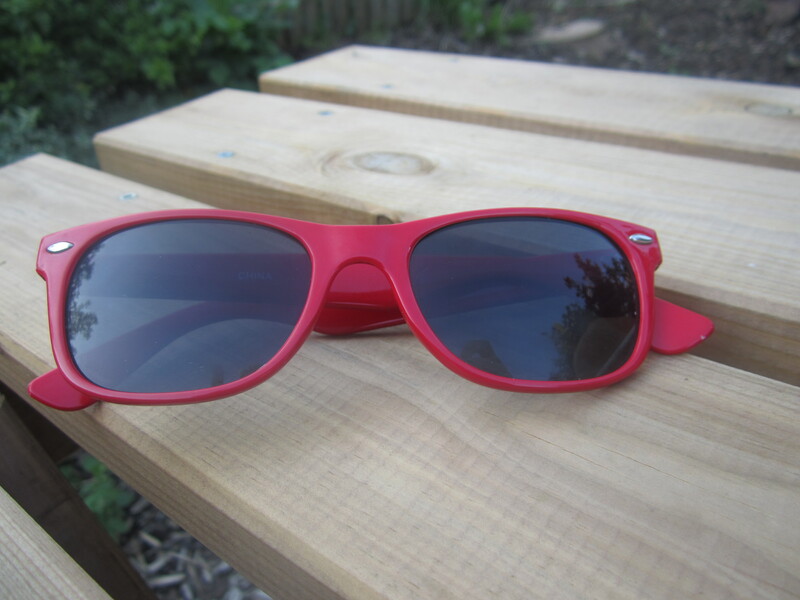 Today’s recipe is one of my summer staples and reminds me of sitting in the sun. 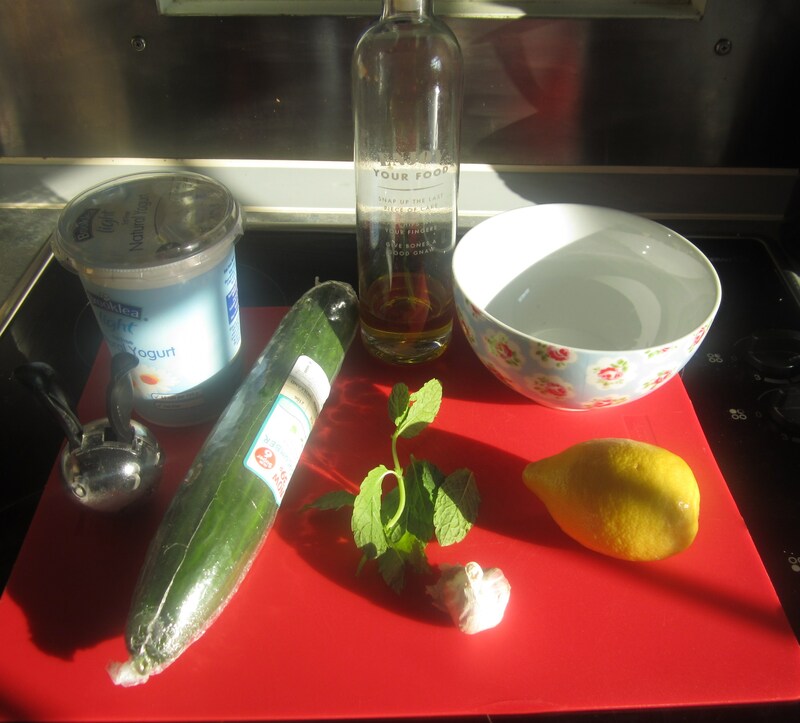 It is perfect as a burger topping or a dip for a big bowl of chips, crisps or crudités. 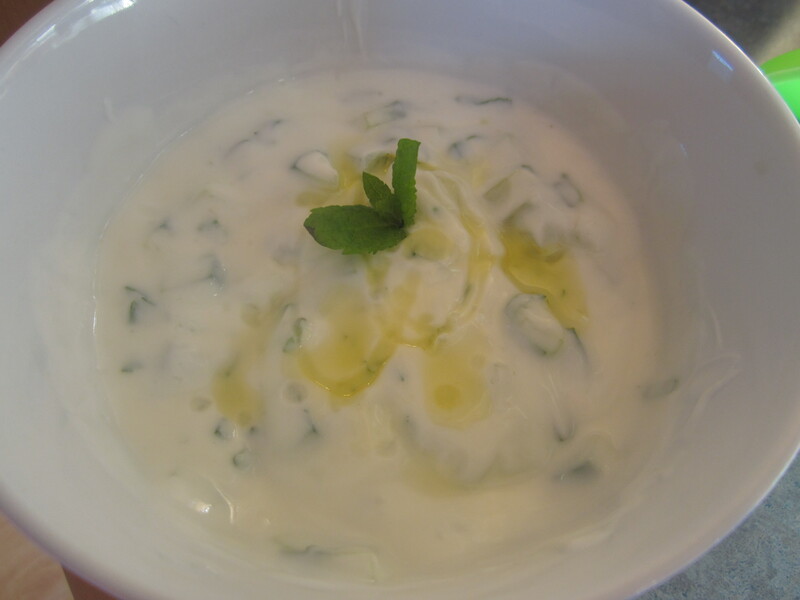 I haven’t put any measurements in this recipe as I make it slightly differently each time and I think that you just need to keep tasting it and adding more or less of what flavours you like – I like my tzatziki really garlicky but if you are making this for a romantic evening then by all means tone it down a bit! 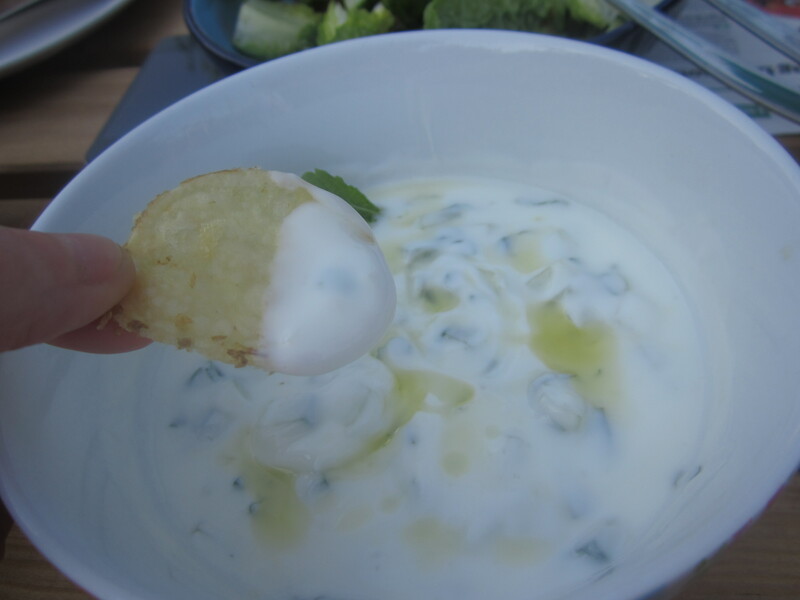 Posted in Uncategorized and tagged barbecue, bbq, beef, country life, country living, dinner, dip, foodie, garden, home, recipe, salad, starter, summer, tzatziki. Bookmark the permalink.